The trio of interplanetary bounty hunters are back for more fast-paced and gripping space action and adventure in the all-new season of Killjoys, which premieres this February on AXN. After sustaining serious personal losses, space marshals Dutch (Hannah John-Kamen), Johnny (Aaron Ashmore), and D’avin (Luke Macfarlane) band together to prepare themselves for what lies ahead as they face their toughest challenge yet. Tension and tragedy loom over their galaxy as the trio struggles to assemble an army and prepare for battle. In the season premiere, Dutch and D'avin, with the help of an obnoxious black market dealer, are on the hunt for a weapon that will draw out the Hullen, a race of normal human beings with superhuman abilities; Johnny receives an SOS from Clara (Stephanie Leonidas), leading him into the underground world of Hackmods, humans with cybernetic implants. 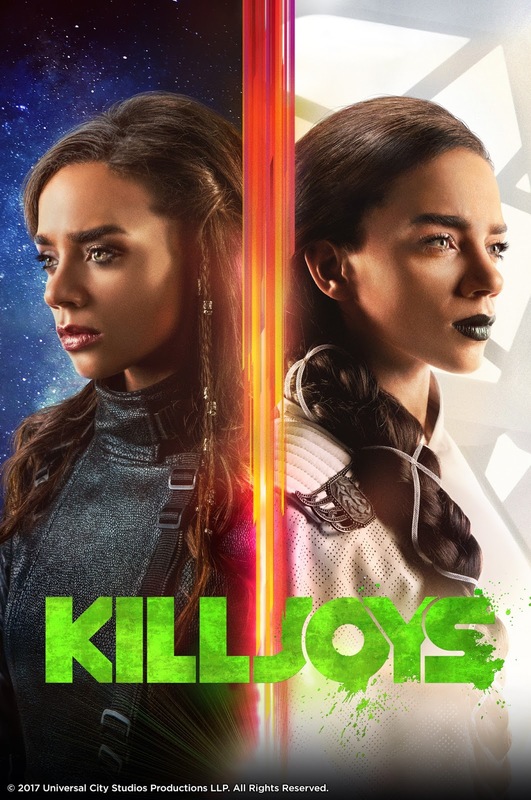 Killjoys Season 3 premieres on February 6, and airs every Tuesday at 10:40pm, first and exclusively on AXN.